I’ve been loving all of your responses to my question “what cooking technique do you want to learn more about?”. I fully intend to address all of them in good time. Keep them coming if you think of any more. I love doing posts based on things you actually want to read (as opposed to my mindless meanderings). 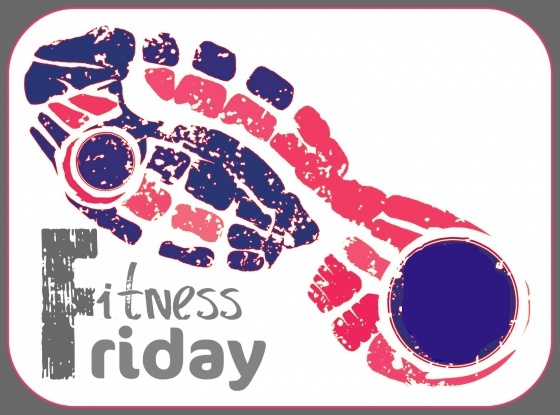 Fitness Friday got pushed to the side to make room for the Healthy Living Summit, in all of its glory, last Friday. To be perfectly honest, I can’t really do a two-week recap of my workouts because I have misplaced the week before HLS in my brain. That’s what old age will do to ya. Ha. I do know that there was 3-4 runs and one day of weight training thrown in there, but the details escape me. And as much as I would like to forget the details of my “16 mile” run the weekend prior, I remember it all too well. Let’s skip to this past week. Friday was a rest day for me, because I was traveling. Unless you count that walk to Pumpkin for lunch, I was pretty sedentary. I rearranged my long runs to acommodate HLS and attempted to do a 16 mile run the weekend prior, which was previously schedule for the weekend of HLS. It was a long difficult run resulting in about 14 1/2 miles covered total and at least one mile was walked. I made last Saturday my step-back week and attempted to get in as many miles as possible without missing out on the fun going on at the summit. 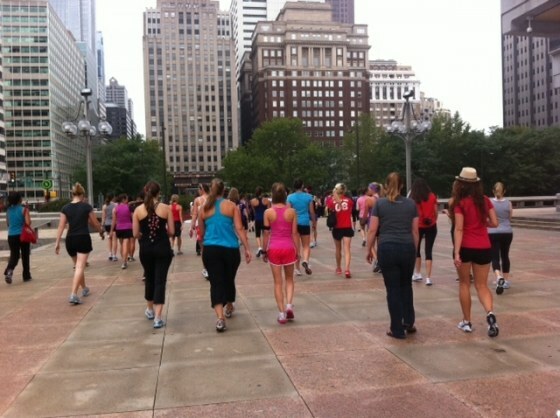 On Sunday, I got up early to run with Allison covering four miles + the “Rocky steps”, before joining a huge group of summit attendees for a 5K. We walked half of the route, then ran back so we wouldn’t miss breakfast. I have to admit that I did not do a full minute of the burpees. I did 30 seconds of burpees + 30 seconds of mountain climbers instead. Burpees make me want to die. Friday – we shall see. I got in late from seeing Britney Spears in concert so I didn’t manage to get up this morning for a workout. There may be a quick 30 minute workout in my future, but I’m not going to stress out over it if it doesn’t happen. I have an 18 mile run planned for tomorrow morning and truthfully, I don’t feel very confident about it. But I’m planning to stay in tonight, get plenty of rest, fuel appropriately, and give it my best shot. What workout makes you want to die? Burpees for me, and pushups are a close second. Ugh I’m with you on burpees! Stationary lunges are pretty mind-numbing too. Pushups make me want to die! Now girl push-ups I can do, but regular push-ups, oh the horror! Good luck with your 18 miler! I will be cheering you on. I know you can do it! Burpees also make me feel like dying… whoever came up with them must’ve been CRAZY! I have a 20 miler tomorrow and am pretty nervous for it. I decided to drink some chia water tonight and will be heading to bed pretty soon… 5:15 comes early. Best wishes on a great run for you! Hope your run went well! oh I am a burpee lover too! yippee! be careful this weekend. thinking about you guys!! I don’t know if I would call myself a burpee “lover” per se. 😉 The storm didn’t even show it’s face in Charlotte, but I appreciate the concern. Brad and I think it was just a slow news week because it was only a level 1 when it hit.